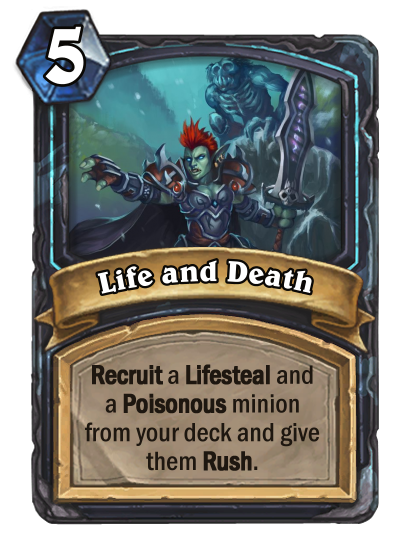 Revenge is a dish best served with poison. 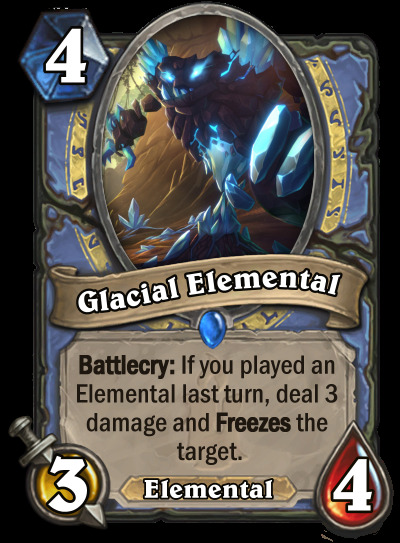 Flavor: Don't you think that the weather is crazy these days? 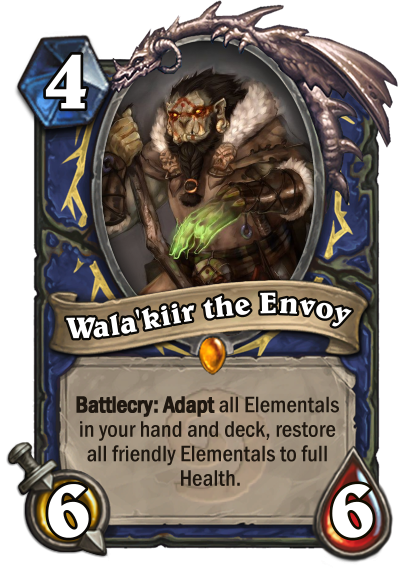 Thanks to ArngrimUndying and Kovachut for helping me balance the cards. 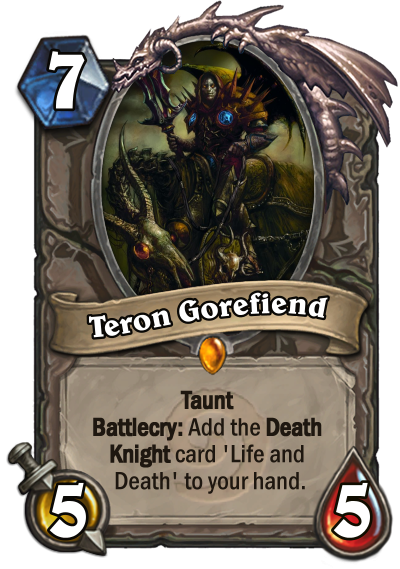 Teron Gorefiend and Life and Death. 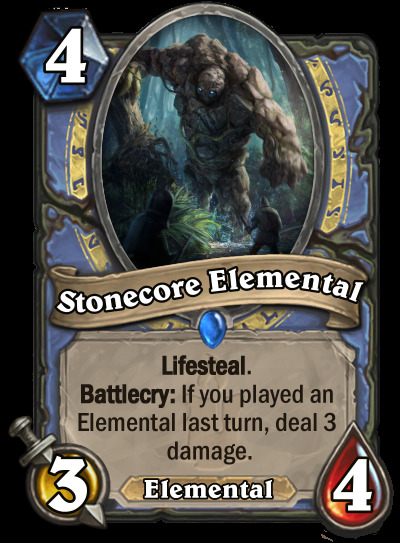 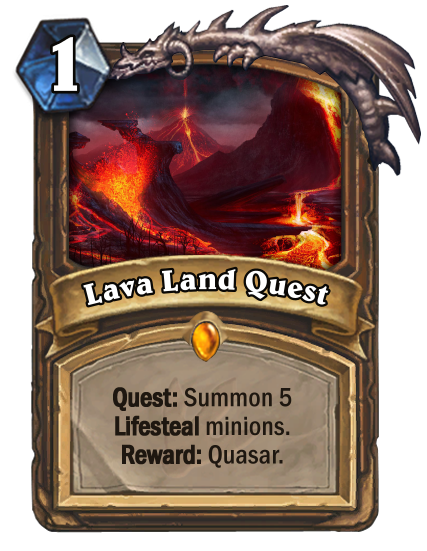 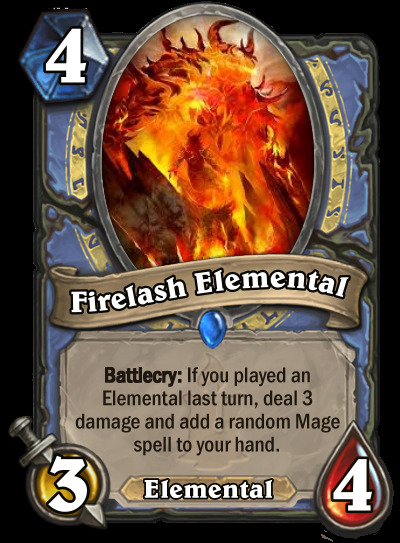 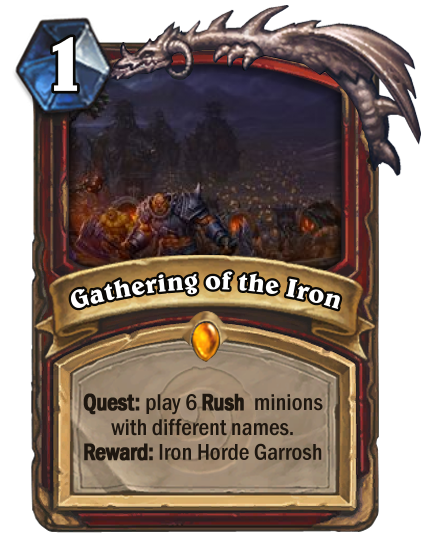 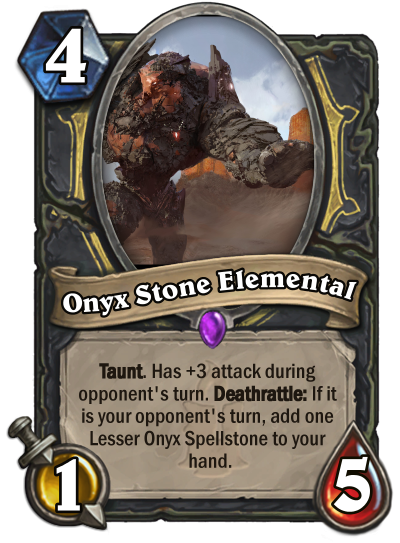 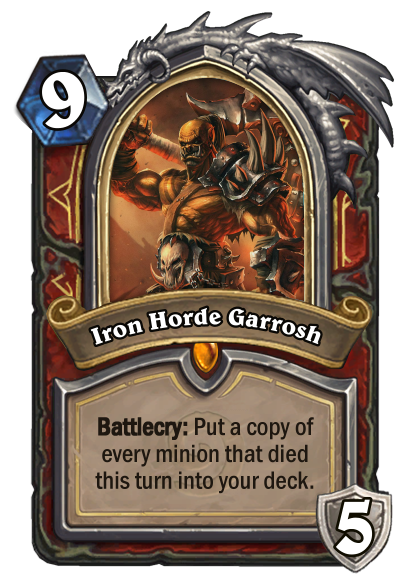 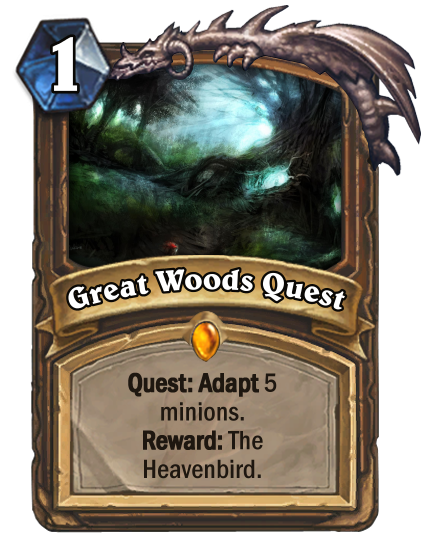 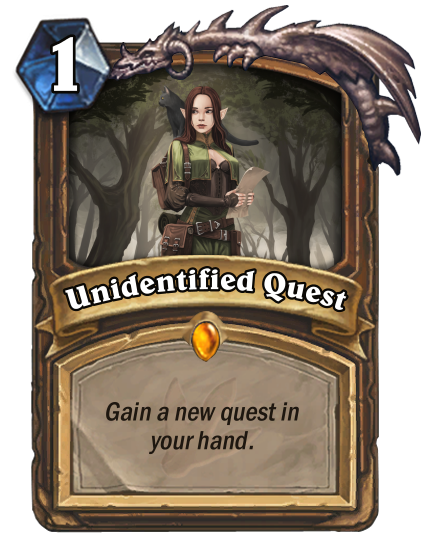 I like easy cards that you still can get some value from. 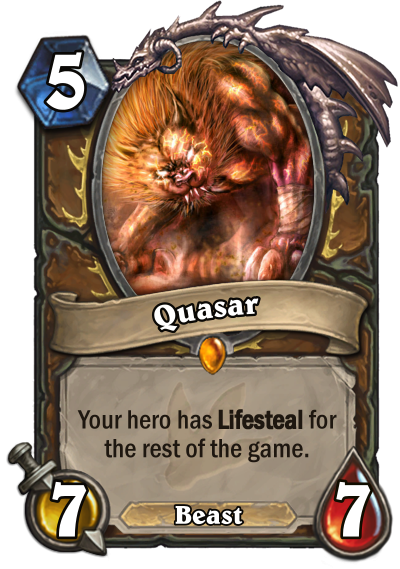 Lifesteal is really good for example Warlock and +4 lifesteal would feel to strong but if you add for example a loot horder who gets the lifesteal instead it's only +2 and a 2 cost minion rarely can tank two attacks. 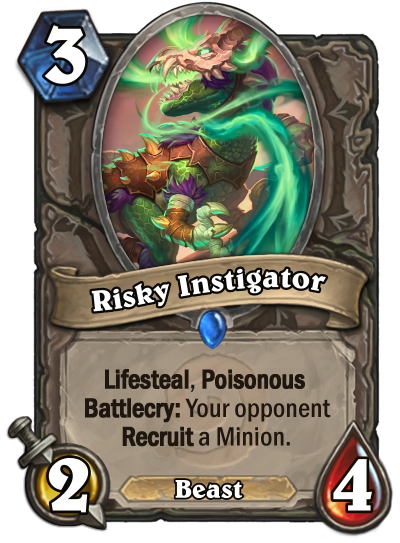 But in this case it will have some protection. 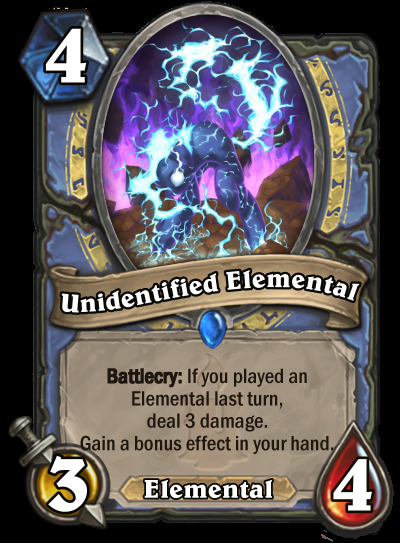 Flavor Text: I see dead people. 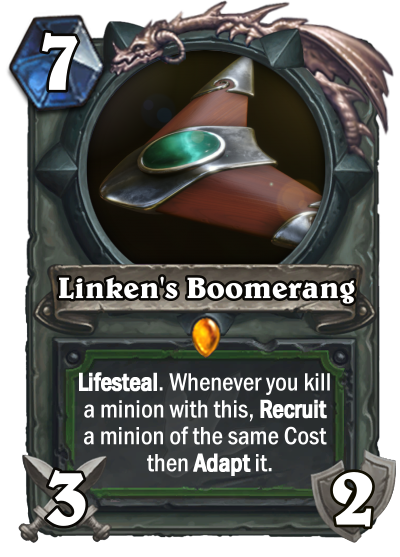 Yes, kinda my ting, you know. 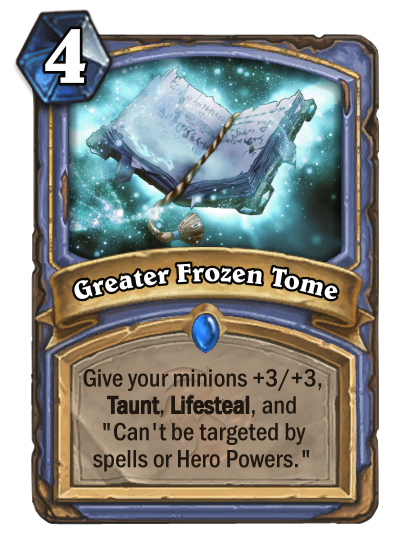 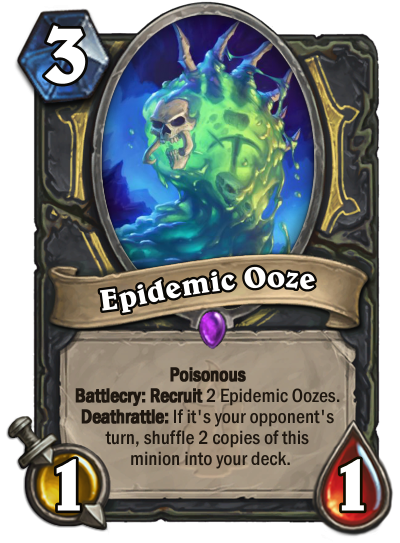 Let me explain how exactly this card would work. 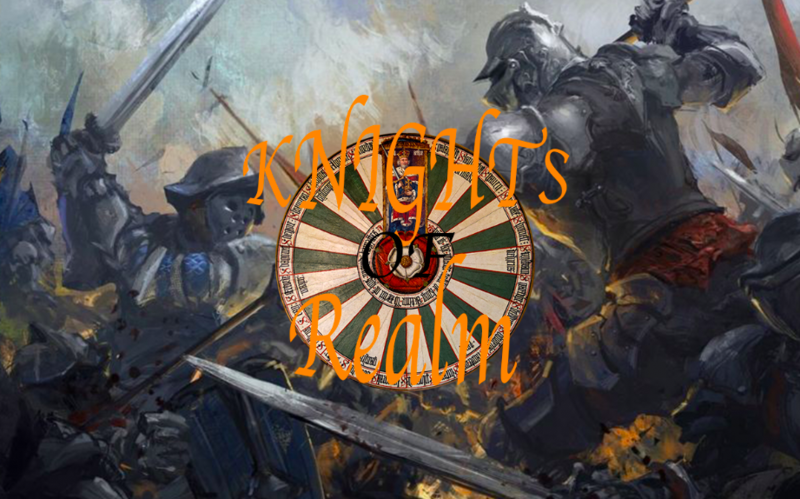 You cast it, a random minion is shown from your deck (like in Joust animation). 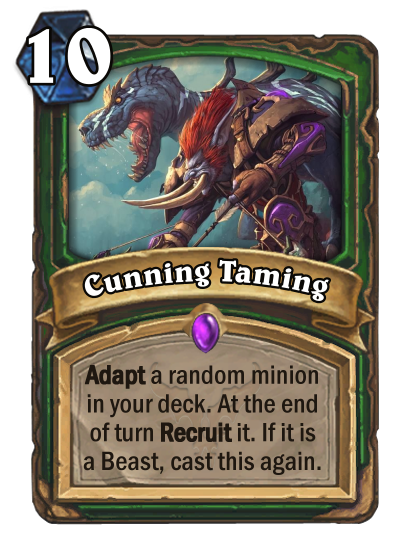 Both players see it, then you Adapt it, and it gains an effecting Recruiting it at the end of your turn. 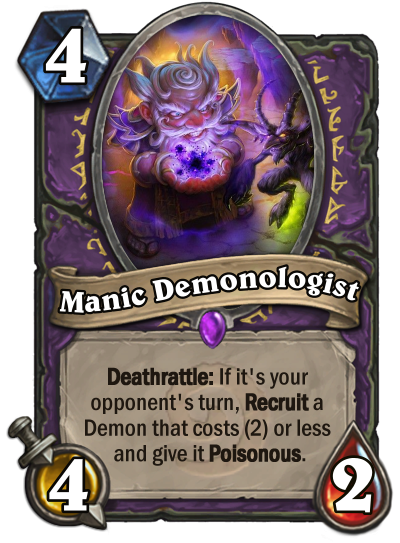 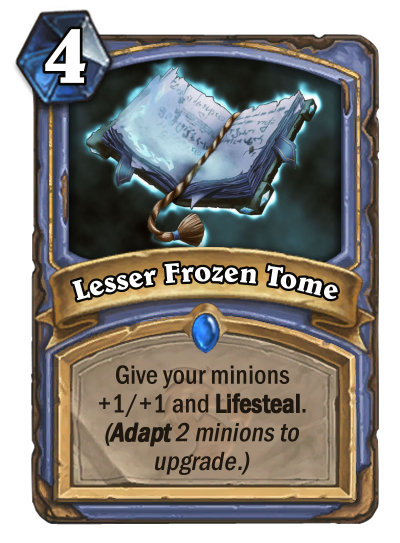 If this minion is Beast, you immideately cast the spell again, but it can't hit the same minion, so only one time for each minion. 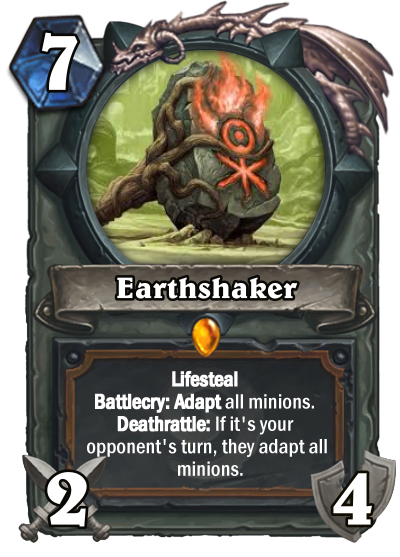 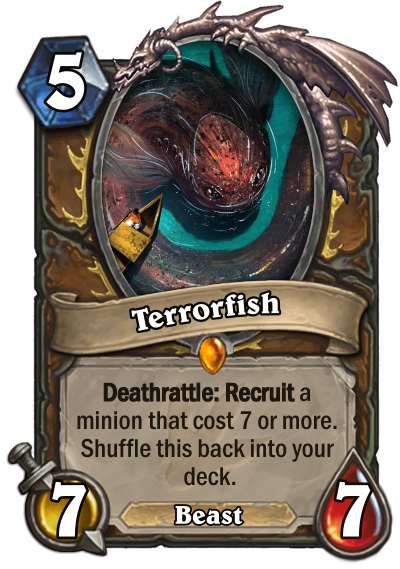 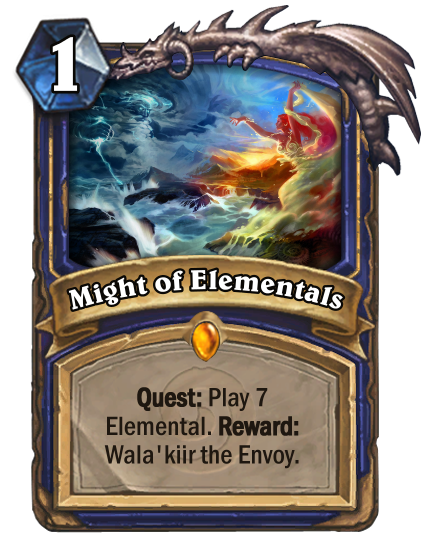 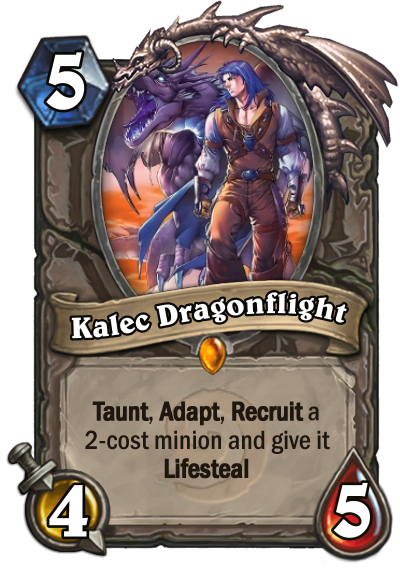 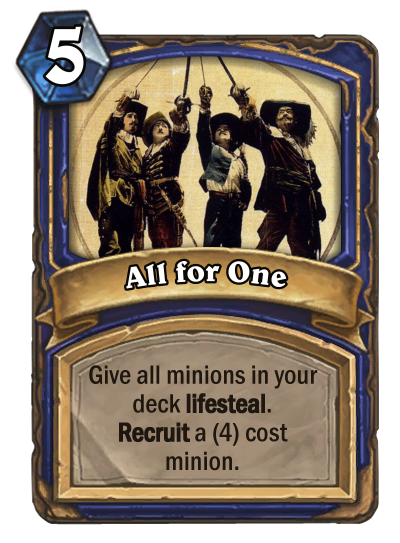 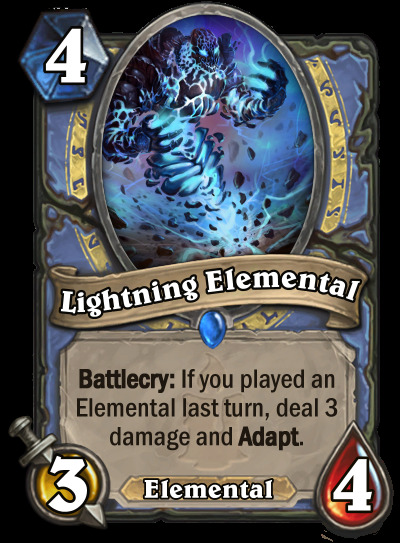 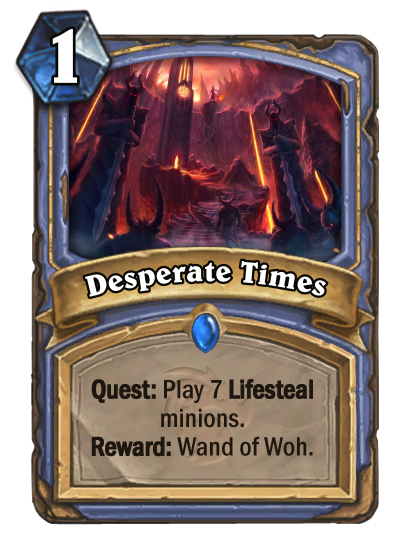 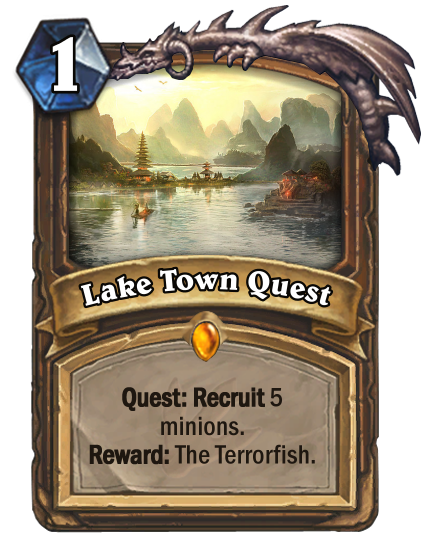 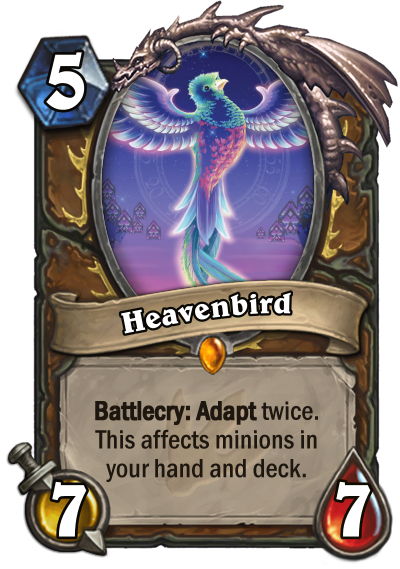 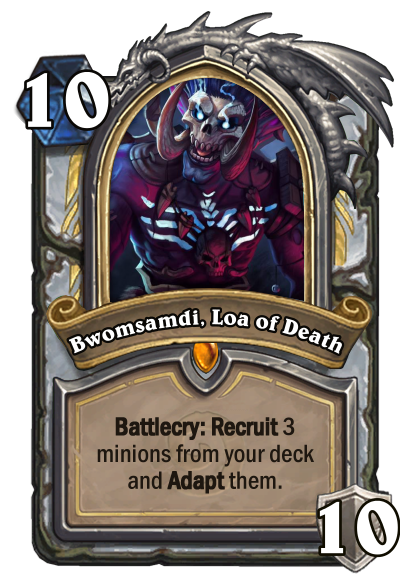 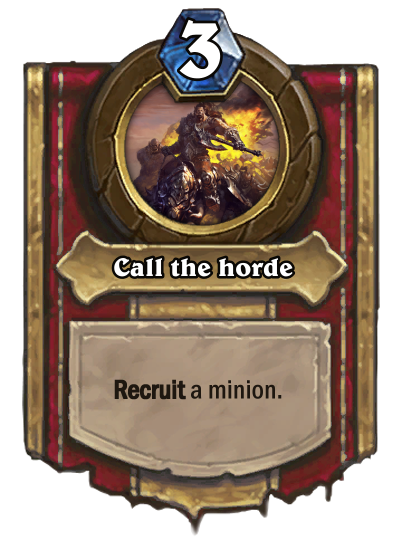 You can Adapt the whole deck if they are all Beasts, but at the end of turn only seven first Adapted minions will be Recruited . 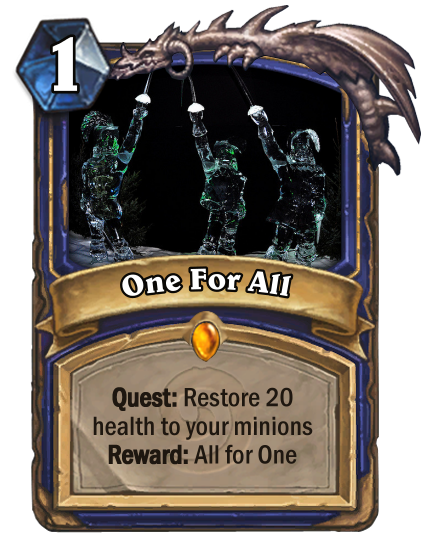 "The Naaru have not forgotten us!" 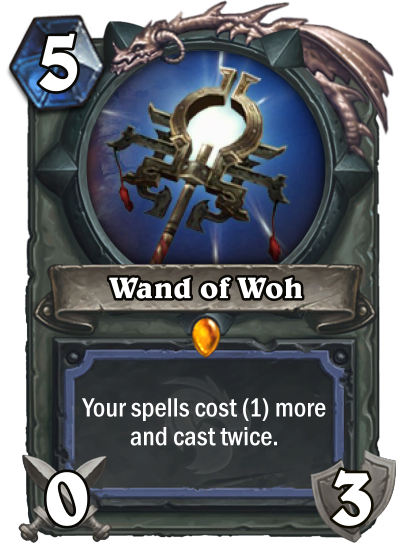 A Warlock weapon honoring my favorite deck and combo from the Year of the Mammoth. 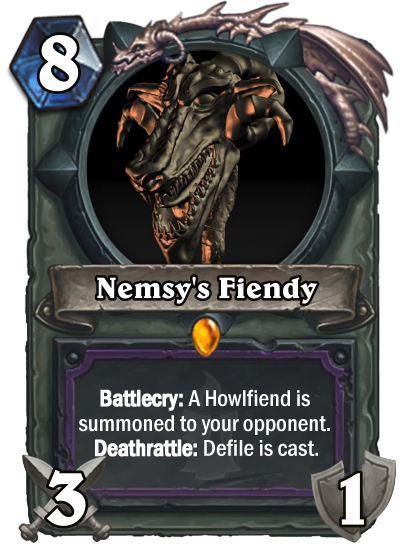 High mana cost to prevent aggro decks from abusing it early (also, Treachery+Howlfiend+Defile is an 8-mana combo). 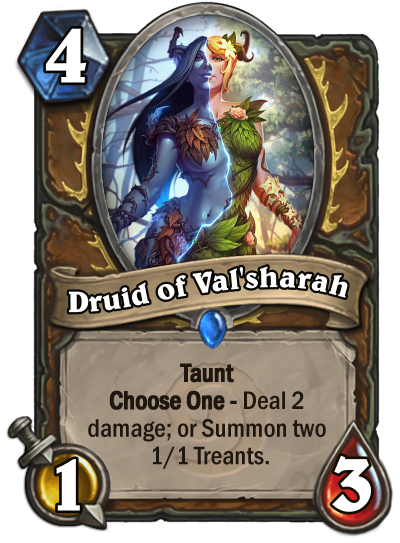 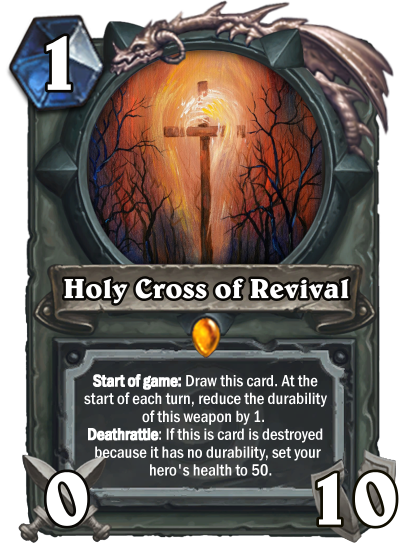 Great card for stalling the game and trying to survive against aggro or combo.